When it comes to the workplace, some employers may think that their obligations begin and end with getting jobs done and paying their employees. What must also be given a good amount of consideration is the safety of the workplace where employees spend so much of their time. A bit of undetected mold can go a long way and if a group of workers are experiencing runny noses, chest congestion or itchy eyes, a serious problem may have already taken hold. In this article from Ecosystems Environmental Services, we will explore some of the reasons why companies should hire experts to investigate and remediate ventilation problems that can cause mold. Health and Wellness: According to the Centers for Disease Control and Prevention (CDC), mold spores can easily find ways into structures through open doors and windows or on clothing. Given the right conditions, it can grow behind walls or on cardboard boxes placed in storage. In short, the CDC says that “you need to clean up the mold and fix the moisture problem.” To do that, companies are going to need professionals who’ll meet federal and state environmental standards as work is planned and completed. Structural Integrity: Mold is most often found in dark and damp corners of a building. 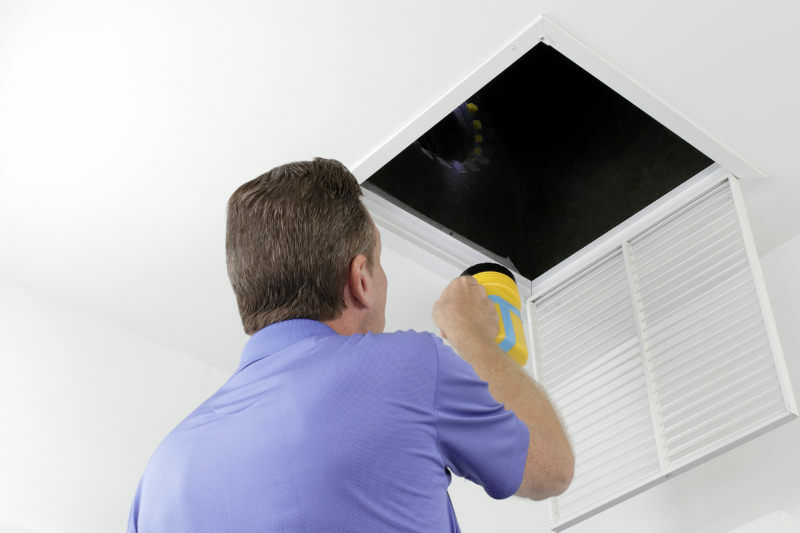 It also often takes hold in ventilation systems and this complicates matters, as the spores can be pushed around by blowing air and then grow in even more areas of the building. This is a nightmare scenario for building and business owners. As such, inspection is best left to experts who understand how the spores grow in ductwork. According to AngiesList.com, a thorough HVAC examination should be carried out. This way, problems with a heater or air conditioner that could be spreading the mold will be isolated early on. Inspection/Identifying the Source of the Problem/Finding a Solution: Even if you work in construction, your company is busy on job sites across the region and doesn’t have time to address problems at the office. A company like Ecosystems Environmental Services can inspect the building, determine the source of the problem so that it can be fixed, and develop mold remediation specifications/protocols to address the proper methods of remediation. Employees have a right to work in a safe and healthy environment. If not, they can take suspicions and complaints to owners or other oversight and regulating authorities. To avoid any unnecessary headaches, it may be best to bring in an inspection company long before any perceived problem arise.